At little over a year old, fixed gear label Quella has popped up in surprising and varied number of locations. From television appearances in something called Made in Chelsea, to Chris Hoy’s Twitter feed, the label has won fans both in cycling and in particular, the fashion industry. The bikes have turned heads of celebrity investors too, some of which we’re forbidden from mentioning. The firm, now entering its second year, has a challenge on its hands. Having set out with the goal of selling one bike per day in its first few months in business, the firm were presented with something of a happy dilemma. The first batch sold very quickly, with an average of five or six sold per day, sometimes as many as ten per day, presumably when the sun came out. At this point you’re probably assuming Quella is about fashion over function, but Langley says that assertion couldn’t be further from the truth. 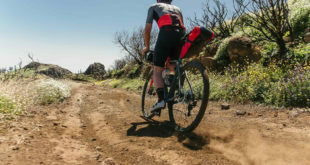 “We’re largely a mid-market singlespeed label, so none of the product targets the low-end buyer, though we do have a cheaper model for the budget restrained. Our gearing is slightly higher than you’d perhaps find on our competitor’s bikes and that’s because we want the bikes to be used on the track or for dashing around town quickly. What’s more, we’re finding our builds make great training bikes for the more serious cyclist. In fact, Langley has vowed to focus on function in equal measure going forwards having almost lost the business thanks to a combination of Chinese New Year and some poor craftsmanship in the early days of the business. Having secured a deal to be part of Halfords’ plans going forwards, Quella’s bikes will be available to order via the retail chain’s online portal, as well as potentially appearing in a select number of stores once the chain has completed its revamp. Independent stockists are also welcome on board as part of the brand’s expansion, with a number of specialists in the fixed gear market already giving the bikes pride of place in their stores. “We’d be interested from hearing from retailers with a good base of urban and fixed gear bike enthusiasts,” said Langley. Indeed as BikeBiz arrived, a former metallurgist to the Royal Family was leaving.